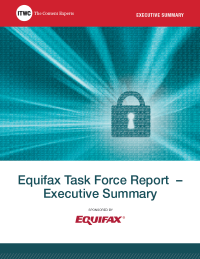 Download this Task Force report for detailed insights on the use of client data by financial institutions. While financial institutions are making progress in the realm of legal and ethical data acquisition and analytics, challenges remain. Organizations should be knowledgeable about the use of data and analytics for prospecting, how regulatory requirements impact successful approaches and how to use customer information to grow target audiences and personalize offers.